The Silver Australian Koala is one of the most popular coins produced at the Perth Mint each year. Based upon the popularity and concept of the Silver Australian Kookaburra, this bullion coin is produced annually with a common design motif, but a new depiction of the lovable marsupial on the reverse with each new issue. 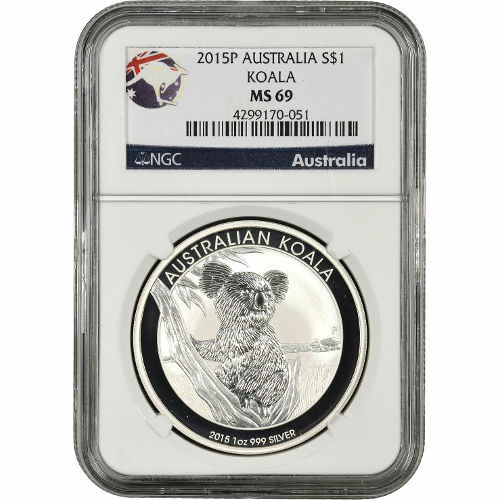 Right now, the 2015 1 oz Silver Australian Koala coin is available on Silver.com with a certified grade from the NGC. 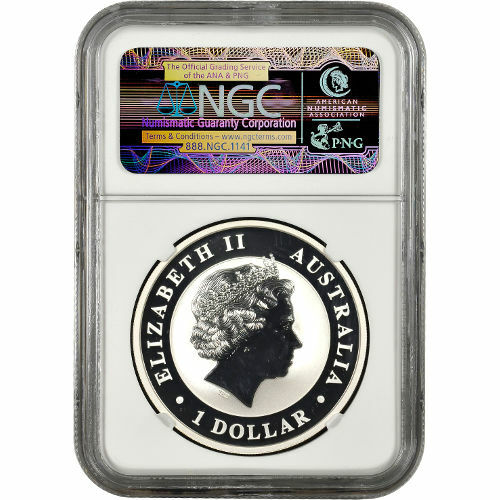 Just 1,199 coins currently exist with this grade from the NGC! Earned a Mint State 69 grade from the Numismatic Guaranty Corporation. Features the 2015 design of the Australian Koala. Australian Koala coins were introduced by the Perth Mint in 2007. The bullion and proof coins follow the tenets of the Silver Australian Kookaburra coin, the long-running program known around the world. Each new Silver Australian Koala features the image of a koala in its natural environment, though the specific design varies from one year to the next. 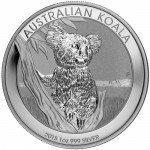 Each 2015 1 oz Silver Australian Koala Coin offered here today is in MS69 condition. According to the NGC, MS69 coins have their full, original mint luster, and a maximum of two minor detracting flaws. On the reverse side of the coin is the image of a koala sitting in a eucalyptus tree as it stares off into the distance. The animals are distinctive in appearance, with long sharp claws on their hands and oval-shaped, black eyes. The obverse features the image of Queen Elizabeth II. Her Majesty’s right-profile portrait was created by Ian Rank-Broadley in 1998, and debuted as the fourth-generation depiction of England’s longest reigning monarch. Australia’s Perth Mint was once part of London’s Royal Mint system on the continent. Following the closure of the Melbourne Mint and Sydney Mint, it stands as the oldest operating facility in the country. It is not affiliated with the Royal Australian Mint, the federal government’s sovereign facility, but is instead owned and operated by the state government in Western Australia. If you have any questions, Silver.com associates are waiting to help you with answers. You can reach one of our team members on the phone at 888-989-7223, online using our live web chat, or by submitting questions in an email.